This miniature illumination was made using traditional medieval techniques. 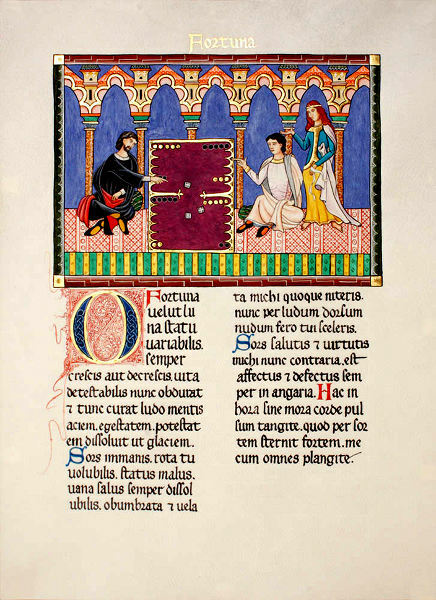 It is a depiction of two 13th century Spanish knights playing backgammon. Lady Fortune stands at the shoulder of the knight on the right, who represents the client. The painting used a generous amount of genuine lapis lazuli blue pigment and malachite green.